When your employer does not provide workers’ compensation benefits and is a non-subscriber employer, you must prove your employer’s negligence in causing your injuries in order to receive compensation. Under Texas law, if you can prove that your employer was as little as one percent at fault, you would be entitled to 100 percent of the compensation you are owed. Obviously, establishing this as well as proving the amount of your damages is critical to your claim. 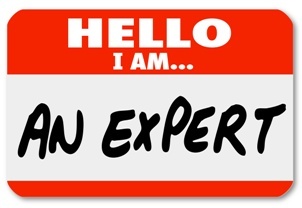 Hiring a qualified expert may be extremely useful in proving your case. Medical expert. Medical experts play a crucial role in workplace injury claims. They can prove the link between your injuries and the incident that caused you to suffer them, what medical care you need, and what your long-term prognosis is. While your treating physician will be an important expert, your attorney may decide to hire an independent doctor as well. Occupational expert. If you are unable to return to your former job due to your injuries, you may need an occupational expert who can determine your limitations and abilities. He would issue a report and testify regarding the job duties that you would be able to perform—if any—in the future. Economic expert. An economic expert would be needed if you are off work for an extended period of time, must make a career change, or became permanently disabled. He could explain the economic consequences in terms of lost income, promotions, employment benefits, and other financial losses you might suffer. Accident reconstruction expert. An accident reconstruction expert may be needed to reenact the sequence of events that led to you becoming injured and to show your employer’s negligence in causing your injuries. Engineer or other technical expert. Depending on what you were doing when you were hurt and the profession you work in, you could decide to hire an engineer, biomechanic, workplace safety and health officer, or other technical expert to prove your employer’s fault in causing your injuries. Our experienced workplace injury attorneys will be able to identify the expert witnesses you need and will have a network of qualified experts to turn to. If you suffered a workplace injury and your employer is a non-subscriber employer, contact us online or call us directly at 817.380.4888 to schedule your free consultation. The Hart Law Firm proudly serves injured victims throughout Texas including Arlington, North Richland, Grapevine, Bedford, Hurst, Euless, Irving and all points in between.